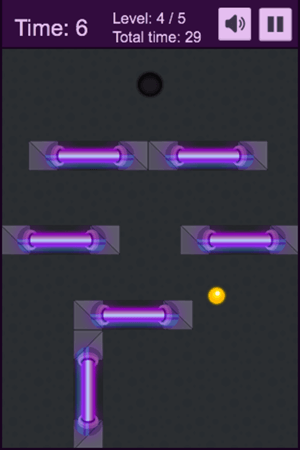 Cyber Orb is a simple HTML5 game demo created using the Phaser framework. Introduction to Phaser is an MDN article I wrote that walks you through the basic steps of building a mobile game with Phaser. It shows the practical use of the Device Orientation and the Vibration APIs – and how they were implemented. The code also looks a lot cleaner and simpler this way. Although we’ll focus on mobile in this post, it’s advised to have the controls built for desktop first. If you’re building the game in your code editor and browser on desktop, you can quickly test it. Then, using a progressive enhancement approach, you can add mobile controls on top of the desktop ones with the Device Orientation API and see how different the game experience is on mobile. The Device Orientation API specification is still in the Working Draft status, so there might be some code-breaking changes introduced in the future. It’s an experimental technology and should be treated as such. All implementations are still missing the compassneedscalibration event. Also, there are differences in browser implementations which should be taken into consideration. For instance, Chrome and Opera don’t support the devicemotion event. You can extract three variables from the passed object: alpha, beta and gamma. Those three properties contain the orientation of the device in three dimensional space. We are interested in the last two to control the ball left-right and top-bottom. The first, alpha variable can be used to determine the up-down movement of the ball to make it jump. The values have different ranges: alpha is from 0 to 360, beta -180 to 180 and gamma -90 to 90. 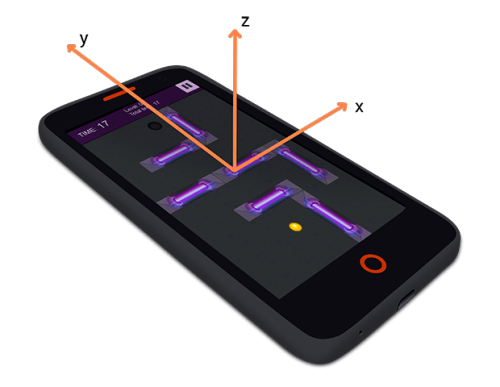 That’s it – you can control the game with the Device Orientation events and you can play with your phone by tilting and shifting it around. This API can add an extra feeling of responsiveness to the game and provide a richer experience for the player. The Device Orientation API is supported from Firefox 6, Chrome 7, Opera 27 and Internet Explorer 11 on desktop, and from Firefox Mobile 6, Android 3 and Safari Mobile 4.2 on mobile devices. It could be used to turn off the screen when talking, so you don’t press anything by mistake while holding the phone close to your ear. 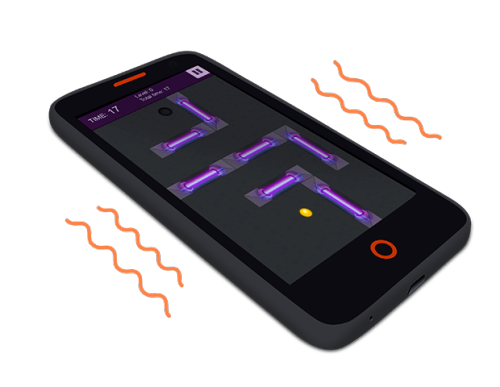 In the game it can be used as an interesting way to control the game – an equivalent of the tap action. The Proximity Events API is supported only in Firefox, but the W3C documentation status is Candidate Recommendation, so it could be implemented by other browser vendors without any problem. The Vibration API is another feature that can boost the mobile experience. Most devices support it (except iOS Safari and Opera Mini), and it works great on Firefox OS devices. It will stop any actual or future vibrations. The Vibration API is in the Proposed Recommendation status, it works on Firefox 16 (from version 11 with the moz prefix), Chrome (with webkit prefix) and lately Opera (from version 27) on desktop, Firefox Mobile 11 (moz) and Android (webkit) on mobile. As you can see, using these APIs is simple and straightforward, yet enrich the experience of gameplay. The mobile gaming experience is different than desktop and you can take advantage of that. The game will work without these additional features, but it feels a lot better when the new APIs are implemented. You can fork the Cyber Orb demo and play with it on your own. It’s easy to extend, you can add extra features and build a complete game. 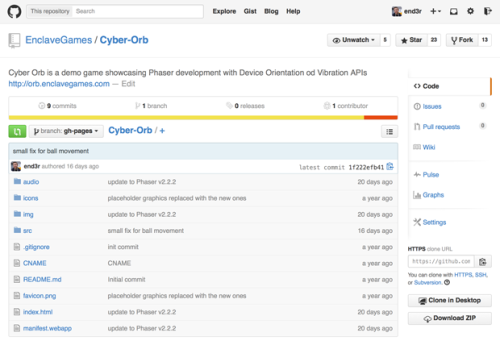 If you need help with the Phaser framework you can visit the HTML5 Gamedevs forums and reach out to the community. There’s also an HTML5 Gamedev Starter list with the links to various resources, and the Gamedev.js Weekly newsletter with the weekly gamedev news and resources, both run by me. As a developer I have used Mozilla Developer Network many times looking for the answers to my coding problems and usually finding them. MDN is a huge knowledge base, but it doesn’t have to work only one way – it’s not read-only. You can easily contribute back and share your knowledge and experience with others. You can write about something you’re good at, so others can find it if they need it. Sharing the knowledge is key here and the reason our community is so friendly. HTML5 Game Developer, Enclave Games indie studio founder, Gamedev.js Weekly newsletter publisher and js13kGames competition creator. Tech Speaker passionate about new, open web technologies, excited about WebVR. Cyber Orb’s device orientation-based controls do not work in Safari on iOS. Is this a known issue? Mobile Safari have different, switched ranges for beta and gamma. Beta is (-90,90) and gamma (-180,180). Could you recommend a library which supports device orientation-based controls across all mobile platforms, incl. Safari? I haven’t found any good one yet, but I wasn’t looking much. You could try Full Tilt: https://github.com/richtr/Full-Tilt but I haven’t used it. You could additionally use screen lock in Cyber Orb. Yeah, that’s also an interesting API. I was focusing on the Device Orientation – Vibration API was added as a bonus, but Screen Orientation could also fit in the article.